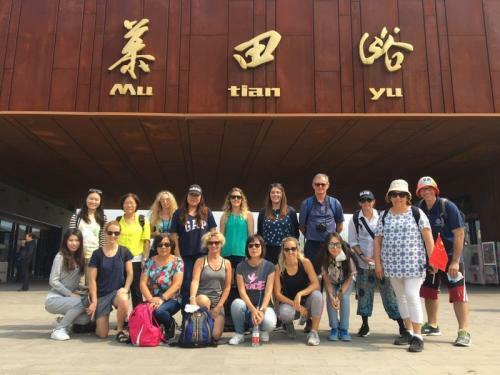 Up to 15 New Zealand teachers of Chinese will travel to China on a 3-week intensive language and culture programme at the Beijing Language and Culture University with extra activities arranged by NZ and Chinese governments. This programme is a fantastic opportunity to be immersed in Chinese language and culture and to improve both your Chinese language and teaching pedagogy. For more information, contact Dr Jiwei Fu, National Chinese Adviser. I had no idea just how life-changing this experience would be when I filled out my application. On reflection, I am over-whelmed with memories, emotions and respect for this opportunity. For me the greatest taonga I bring back are the memories of my time with my colleagues as together we navigated our way around Beijing and learnt more about a different culture and language. University life will continue to be a place full of energy and opportunities, a place for scholars, young and old, to seek their dreams and fulfill their aspirations. It was heart-warming for me to see the torches of learning still shining bright in the China of today.